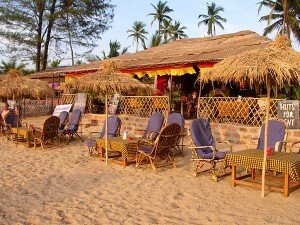 Palolem Beach, also known as «Paradise Beach» is located in South Goa. It is one of the most beautiful beaches in Goa, surrounded by picturesque hills and washed by clear blue sea. 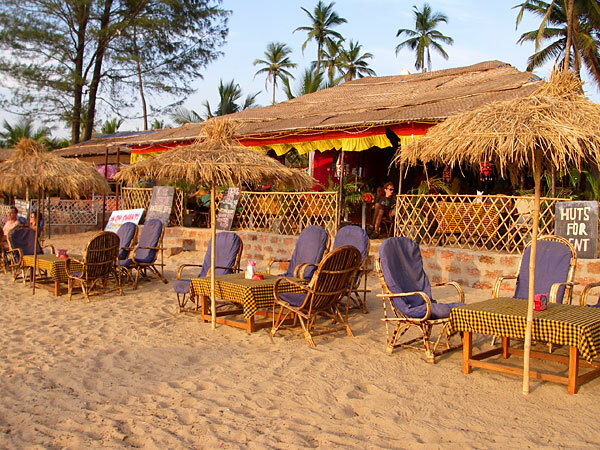 This beach is about a mile long, not very popular among the famous tourist destination, so if you are going to stay in the Palolem, you have to live in a hut and to enjoy a simple lifestyle. Palolem Beach with white-yellow sand dominates on the southern coast of Goa. A few years ago it was the usual pristine beach, but of course, so exciting place could not escape from the tourists’ eyes. Large area of beach now has many small huts, the amount of which is gradually reduced when you are moving to the south. Fishing and excursions to the sea to watch dolphins are offered at very reasonable price. There are no problems with the housing along the beach. You can find a lot of tiny huts, at a distance the hotels are also arranged, but you are even allowed to sleep on the beach. By the way in season the hotels of Palolem are rather overcrowded. Sometimes the tourists even meet a problem concerning the apartment renting. So mind this fact and try to book something convenient in advance. In addition, you can stay in the beautiful Bay of Columbus, in the comfort of “environmentally friendly” facility. 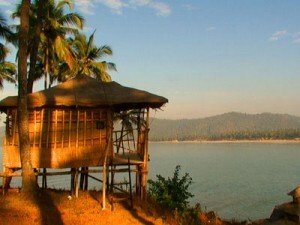 Not far away there is a beach of Putnam, which is much quieter and calmer than Palolem. Pay attention to that fact that in Palolem there are several centers of exchange, but there is no any bank. At the northern end of the beach there is a river that turned part of the beach into the tiny island, which is able get to only by land and when the tide is low. 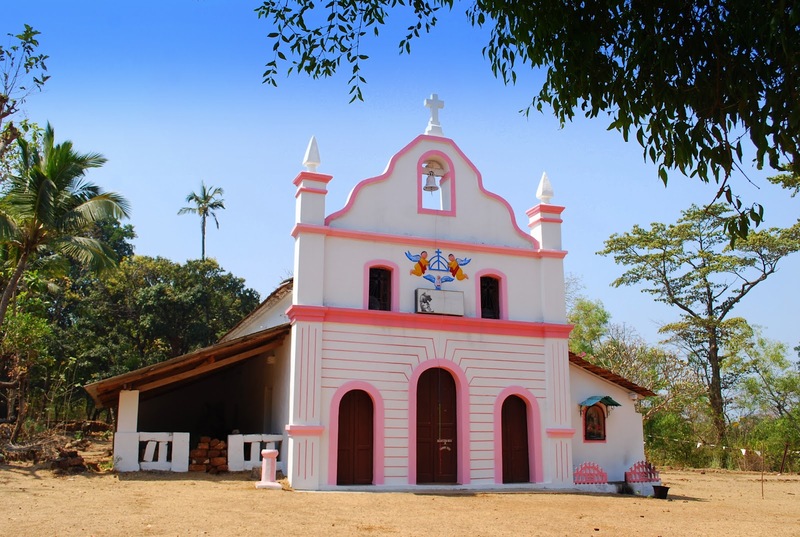 The easiest way to get to Palolema is by train to Margao or by plane to the airport of Vasco da Gama, and from both places mentioned above you will be able to take a taxi just to the resort. It is necessary to admit that this kind of transport has a fixed price (it means from the airport to the railway station Margao, not to the hotel of course). From Palolem it will take you 10 minutes by tuk-tuk to get to the local railway station called Kanakona. There you will catch a lot of buses to Margao. The average time of journey is 1.5 hours. On the avenue along the beach there are many shops, where the tourists usually buy numerous music records, spices and clothes. Some sellerы even go along the beaches offering the handmade souvenirs. For many centuries the locals have made living by fishing, so you can be sure that the fish is served in any restaurant. All fish is rather fresh of course. The price of these fish dishes usually starts from 300 Indian Rupees. 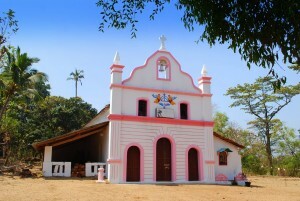 Perfect destination for a day trip is a journey to the reserve of Cotigao, or to the ruins of the fort of Cabo da Rama situated in a quiet and very beautiful beach of Agonda. Take a chance to see the waterfalls of Dudhsagar, the name of which is translated like “blue milk”. The most interesting fact is that this waterfall is included into the hundred of the highest waterfalls in the world. Snorkeling and scuba diving (the center is located near the guesthouses of Palolem), canyoning and trekking (reservation at the restaurant Casa Fiesta) are the most famous. You can also swim with the dolphins or rent a boat to float at dawn or dusk.